“There’s an app for that,” a quote that’s become famous thanks to Steve Jobs and his Apple empire. Upstate Metal Recycling is here to concur that there really is an app for almost everything. Being a successful scrap metal business in Fort Wayne, Indiana, Upstate was incredibly pleased when word came out that there would be an app created just for keeping tabs on the latest scrappers. The iScrap app not only keeps tabs on scrap yards in your local area, but throughout the entire world! Here’s a little information from CrunchBase website about the latest on this application available for most smartphones. There’s also a blog completely devoted to the iScrap app. Scrap Yard Information On-Demand: Access the iScrap App anytime, anywhere, through any internet connected device. 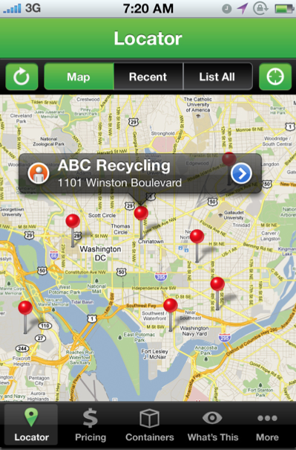 iScrap App offers scrap metal recyclers a directory of scrap yards they can access anytime, anywhere, through any internet connected device. Automatically locate scrap yards within 100 miles or search anywhere in the US and Canada. Tens of thousands of people turn to the iScrap App to find local scrap yards and learn how to make more money with their scrap metal.